Get the Party Started at Breathless Riviera Cancun! Do you need a little vacation getaway to escape from the everyday? Breathless® Resorts & Spas has got you covered! At Breathless Riviera Cancun Resort & Spa, we want you to join the party! Right now, Breathless Riviera Cancun has an incredible lineup of promotions to take your vacation experience to the next level – don’t miss out! Read on to learn more about the promotions that you should take advantage of! Don’t miss out on the exclusive promotions going on at Breathless Riviera Cancun Resort & Spa! The Spa at Breathless Punta Cana has been nominated for a World Spa Award! Happy Tuesday! We have some exciting news to share with you regarding one of our very own resorts! Breathless Spa by Pevonia® at Breathless Punta Cana Resort & Spa has been nominated by the World Spa Awards as Dominican Republic’s Best Resort Spa 2016! Breathless Spa by Pevonia® at Breathless Punta Cana is nominated with four other Dominican Republic resort spas. We are honored to be considered in this category and encourage all of our guests and fans to vote! The voting window by World Spa Awards is open and will close on July 25th! We are excited and honored that Breathless Spa by Pevonia® at Breathless Punta Cana Resort & Spa is nominated as Dominican Republic’s Best Resort Spa 2016! Learn More about the Xhale Club at Breathless Cabo San Lucas Resort & Spa! Breathless Cabo San Lucas Resort & Spa is an exciting all-adult destination on Medano beach, where captivating beauty and modern style combine with non-stop adventure and Unlimited-Luxury® to create the perfect destination for your next tropical getaway! . Featuring 169 ultra-contemporary suites with private furnished balconies and ocean or marina views, Breathless Cabo San Lucas is the epitome of luxury and excitement. For guests looking to take their vacation to a higher level of luxury, we recommend the xhale club at Breathless Cabo San Lucas! Guests who upgrade to xhale club enjoy an array of unparalleled amenities and personalized service. Enjoy the stunning ocean view from your xhale club Master Suite at Breathless Cabo San Lucas Resort & Spa! Paulina from Breathless Cabo San Lucas Resort & Spa provides attentive service with a fun personality to guests staying in the xhale club! With so many exclusive activities and enhanced amenities, what are you waiting for? Book your escape today and experience the highest level of luxury at Breathless Cabo San Lucas! It’s #BeachThursday and we’re already daydreaming about our next tropical vacation! Can’t decide on a location? We have the perfect recommendation: Breathless Punta Cana Resort & Spa! Escape to an exciting all-adult destination in Punta Cana, Dominican Republic, where captivating beauty and chic style combine with non-stop adventure and Unlimited-Luxury®. While at Breathless Punta Cana Resort & Spa, guests can mix and mingle with people from around the world or reconnect with those that mean most. Featuring 750 ultra-contemporary suites with private terraces, Breathless Punta Cana is the epitome of luxury and excitement. For those looking to take their vacation to new heights, we recommend experiencing our highest level of luxury and personal service: the xhale club. Enjoy an upgraded suite, access to two private lounges, special concierge service and other enhanced amenities! 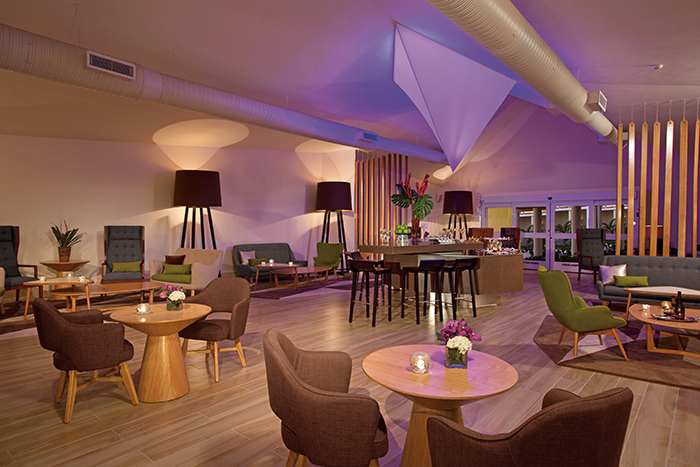 The xhale club Lounge at Breathless Punta Cana Resort & Spa. xhale club guests experience the ultimate level of luxury and added amenities including a VIP host service, personalized check-in and checkout with concierge service and upgraded mini-bar and room service menus. 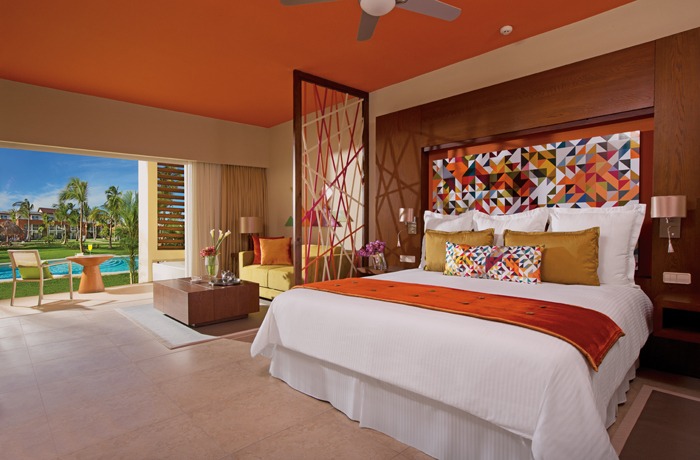 Relax each night in an Xhale Club Junior Suite Swim Up at Breathless Punta Cana Resort & Spa. Love hanging by the pool? xhale club guests can enjoy access to two private xhale club pools as well as a pool concierge and bar service. Upgraded xhale club suites also boast a long list of upgrades including jacuzzis on private balconies, upgraded mini-bar and room service menus, upgraded bath amenities and even a pillow menu! 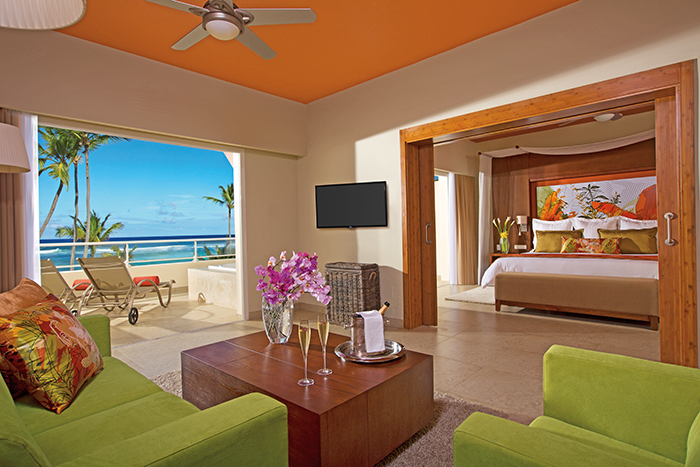 An xhale club Master Suite Ocean Front at Breathless Punta Cana Resort & Spa. Other upgraded amenities include a daily continental breakfast in the private xhale club lounge, a private restaurant for breakfast and lunch, afternoon hot and cold hors d’oeuvres, exquisite desserts and fine liquors in the lounge and a complimentary newspaper in suite daily upon request. With so many things to do and luxurious amenities to enjoy, we can’t wait to welcome you to the xhale club! Book your Breathless Punta Cana escape today and experience the ultimate in luxury!